Very good ski mountain in present day Slovakia, used to be part of Hungary. This is the best ski resort in Slovakia. Just as good as the good resorts in Austria. Says Dezso. a much lower than average part of red and black ski slopes and a much higher than average fraction of intermediate or beginner runs. This ski area has 12 runs, and they are enjoyable to ski on. 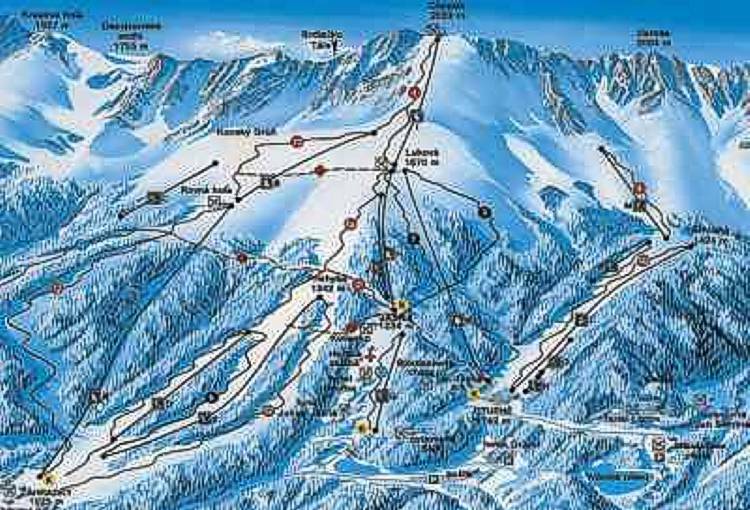 There's a ski trail map of Jasna on this web page for your reference. or beginner runs for learners. Some people prefer skiing and some snowboarding, either way, there are a lot of delightful spots for that in the neighborhood.